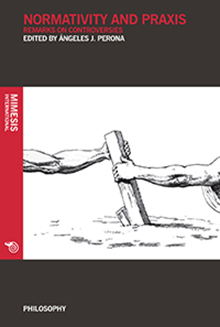 Among the various issues debated in philosophy today, this book focuses on one which is unquestionably central: can we claim to have any regulated procedure that uses common norms to resolve human disagreements? Although this is a question with profound classical roots, it is explored in this work through the prism of a key notion in today’s thought: controversy. The aim of adopting this approach is to determine whether controversies might constitute this regulated procedure. What are controversies? Are they only a type of reasoned and ordered debate? Are they a complex process of making or fixing rational beliefs? Each chapter of this book can be seen as a way of contributing to the analysis of human rationality, but viewed not so much as something unitary and pre-established that needs to be discovered, but rather as something that is neither unitary or pre-established; something that still needs to be achieved. Ángeles J. Perona is Associate Professor at the Universidad Complutense of Madrid. Her research interests lie in the rational connection between Theory of Knowledge and Political Philosophy. She focuses on the relationship between fallibilistic models of knowledge and liberal and democratic political philosophies (including Feminist Theory among them). She has published many articles in academic journals and the book: Entre el liberalismoy la socialdemocracia. Popper y la “sociedad abierta” (1993). She has also edited several books: El desafio del relativismo (1997); El retorno del pragmatismo (2001); Contrastando a Popper (2008); Wittgenstein y la tradición clásica: Los peldaños de una escalera (2010).